Eminem and daughter Hailie Jade Scott have been spending some quality time together at music festivals across America this year. The 22-year-old has been ‘crashing’ dates on her dad’s tour, crystalising the special moments with pictures. The post was a slideshow of three images, one of which saw her posing in a black leather mini skirt and black bra, mesh top, silver necklace and black booties. In another, Hailie holds up a coconut drink as she watches a performance at the Governors Ball, which Eminem headlined. Scott had been absent from Instagram since her birthday in December 2017. Last week, she opened up about her relationship with her father and what’s in store for the future having graduated from Michigan State University with a degree in psychology. Hailie is Eminem’s only biological daughter with his ex-wife Kim Mathers, who he married twice before breaking up in 2006. The rapper has since mentioned Hailie in a number of songs including Mockingbird and Castle. Of course, we are very close. I’m not sure yet, it’s kind of up in the air still. People have been reaching out through Instagram, as I don’t have any management. You’d hope their relationship was in a strong place, especially given the efforts of Eminem, who has sold an eye-watering 172 million albums worldwide, who can now celebrate being 10 years sober and clean from drug and alcohol addiction last month. 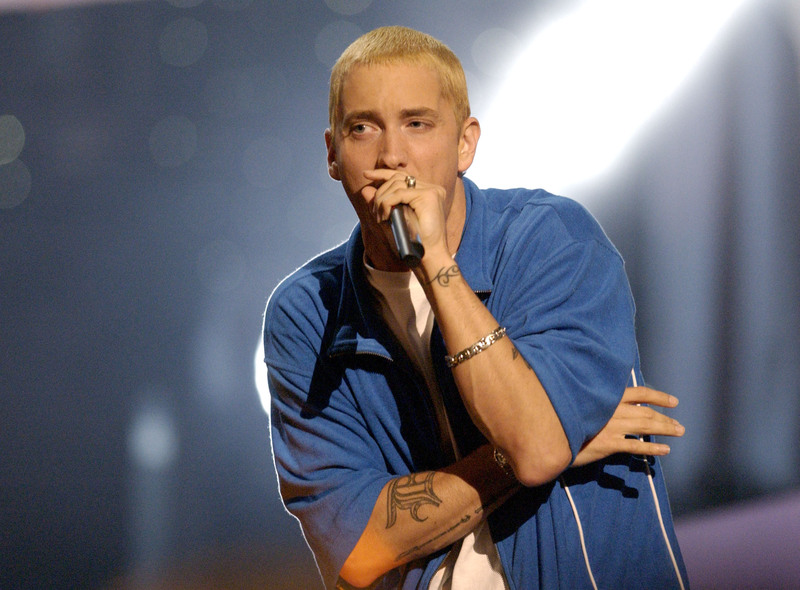 45-year-old Marshall Mathers III shot to incredible global fame in the early 2000s but he’d already struggled with substance abuse problems while battling to make it as an artist. Those struggles overpowered him and spiralled to dangerous depths before Em made the decision to completely quit drugs and alcohol a decade ago. Ten years clean is an incredible achievement and rightly his Instagram post gathered over one million ‘loves’. Speaking to The Fix, Eminem revealed that at his lowest point drug addiction left him ‘hours from death’. Had I got to the hospital about two hours later, I would have died. My organs were shutting down. My liver, kidneys, everything. They didn’t think I was gonna make it. My bottom was gonna be death. His near-fatal overdose prompted him to get clean, but he relapsed after a month. Relapsing is a common problem when battling addiction. But Eminem’s story proves you can relapse and still eventually be strong enough to reach 10 years clean. Surviving that experience without relapsing again shows an incredible amount of inner strength and determination. It also shows that no matter how rich or successful you become – Eminem’s net worth is $190 million – addiction can still take hold of your life. And getting clean is the same brutal process for anyone no matter where they’re from. The battle is worth it though, as his story proves to us all. What a guy. Keep doing you, mate.